More comparison pictures! C'mon, you know you love 'em. :) I'm a bit obsessed with them. First up: Katie and Kelli, reborn. Yep, just with a little hubby genes mixed in. 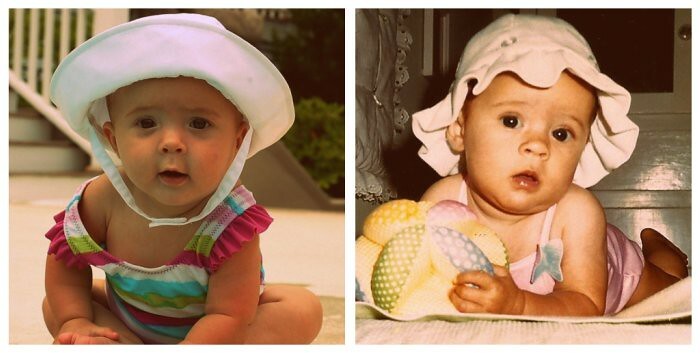 Next: White sun hat, bathing suit, inquisitive look, mouth slightly open picture. 3rd: Momma/baby beach picture. My mom is looking stellar in her strapless one piece. Rock star bod only a few months after giving birth to me. 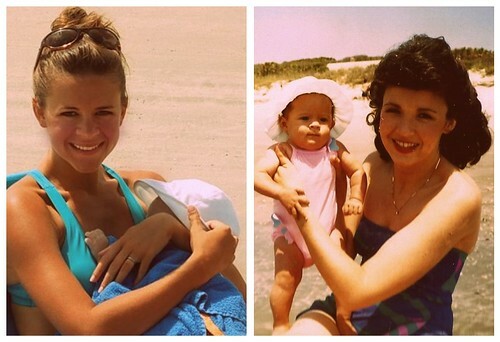 I'm not sure, but I think that both pictures were taken on the lovely beaches of Kiawah. Lastly: Momma/baby pool picture. I was such a happy child. Can ya tell? There's nothing better than a baby in a bathing suit-- exposing that sweet baby chub to kiss on! Seeing the picture of me as a baby makes me want to kiss my own chub! Ha! Well, I for one am certainly happy that she has your skin tone! Not to mention all of the many other wonderful features she has from you. I love that smile in the pool! 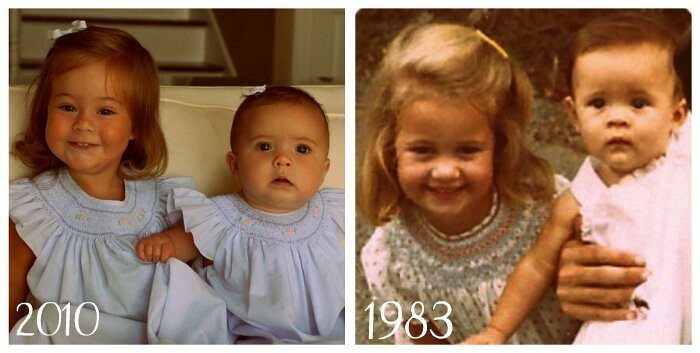 And the first comparison pics with Katie and MK are just incredible!